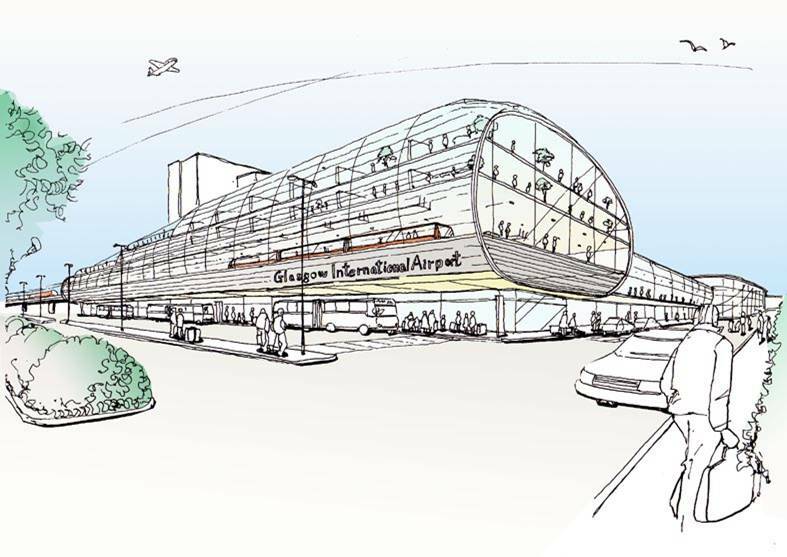 Glasgow Airport has announced details of a multi-million pound investment programme which will see it undergo a major makeover in preparation for the 2014 Commonwealth Games. 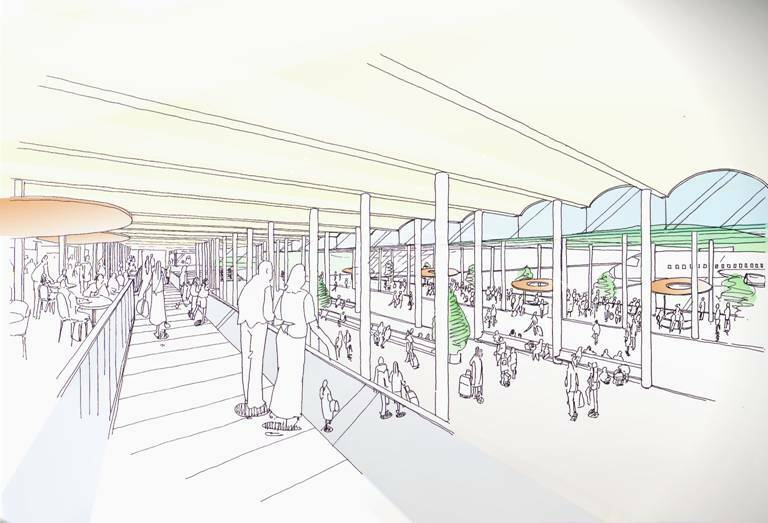 Over £10 million of investment has been brought forward and will be spent during 2013 on refurbishing and enhancing key parts of the main terminal building, including international arrivals which for many will be the gateway to the Games. The airport will also undertake a rebranding exercise and unveil a new logo later this year. The airport has spent in excess of £21 million over the course of the past two years on capital projects designed to provide a better experience for passengers, however, this latest investment will ensure the airport is ready to play its part in what will be the largest sporting and cultural event Scotland will have ever hosted. Included within the investment, which is in addition to an already planned £7 million, is the expansion and improvement of the international arrivals area, modernisations to the main check-in hall and £1.5 million will be spent on upgrading the toilets within the terminal. A significant proportion of the investment will also be targeted on the airfield to ensure a smooth and efficient operation and state-of-the-art energy efficient LED lighting will be installed in the airport’s taxiways. Work has been scheduled around the busy peak season, with detailed planning being carried out between now and May and the main works programme starting in October 2013 following the summer months. 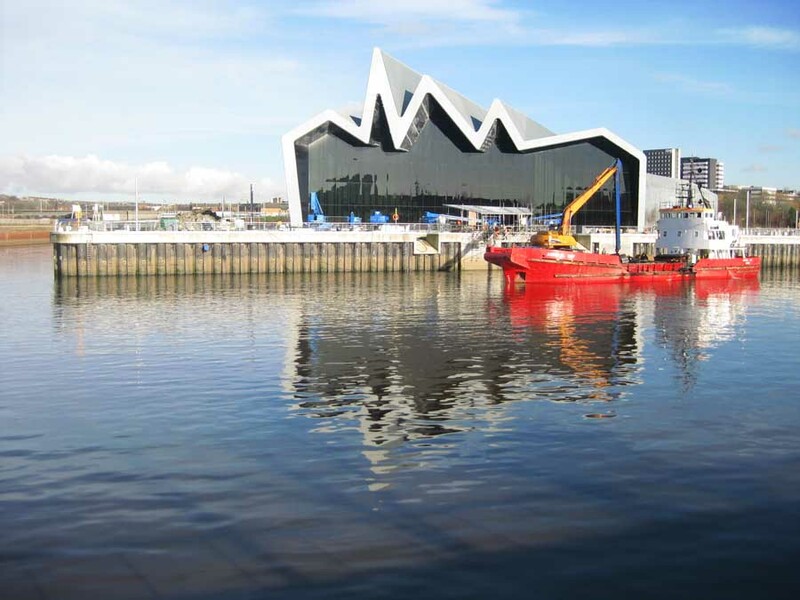 A world class gateway, linking Glasgow to destinations across the globe, providing thousands of new jobs and generating hundreds of millions of pounds for the Scottish economy. That was the vision for Glasgow Airport outlined today by airport operator BAA Scotland as Scotland’s busiest international airport published its blueprint for the future. The Glasgow Airport Outline Master Plan was formally launched today by BAA Scotland’s managing director Donal Dowds and Glasgow Airport managing director Stephen Baxter. The report looks in detail at how Glasgow Airport will develop over the next ten years and then in more general terms at the period up to 2030. Passenger numbers at Glasgow Airport have increased by more than 60% in the past decade, rising from 5.4 million in 1995 to almost 8.7 million today. The outline master plan forecasts that by 2015, the airport could handle between 12 and 15 million passengers, with around 125,000 annual landings and take-offs. Beyond 2015, to 2030, Glasgow Airport could be handling up to 24 million passengers, with more than half travelling direct to and from international destinations. Increasing volumes of traffic will require considerable investment in airfield facilities. To meet forecast demand, the construction of rapid access and exit taxiways and an additional section of parallel taxiway will be required in the period to 2015. More aircraft stands will be required to cater for larger sized aircraft, particularly as the airport continues to attract new international destinations. BAA Glasgow has made provision for a second runway, should it be required. The outline master plan includes two sets of indicative plans for the period between 2015 and 2030 – one showing the airport with a single runway, the other showing how the airport could accommodate twin parallel runways. Ultimately the market, and passenger demand, will determine whether there is a need for a second runway. 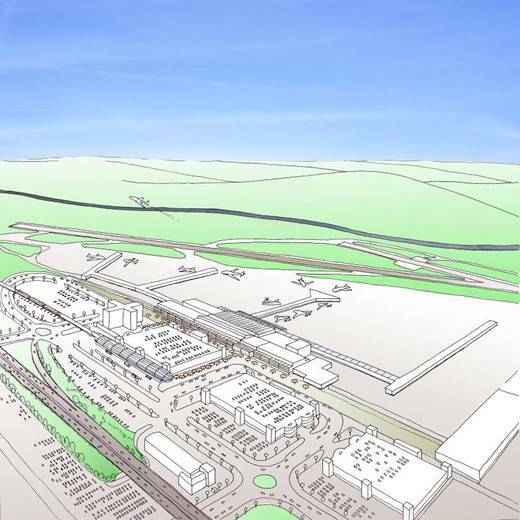 Glasgow Airport development up to 2015 can be accommodated on land currently owned by BAA. Beyond 2015, additional land to the east of Abbotsinch Road will be required. In order to meet passenger growth, the terminal will be significantly extended and reconfigured to provide more check-in desks, baggage systems and departure lounges. The first stage of this development programme, a £6 million expansion of the international wing of the terminal is currently underway, and is set for completion in autumn 2005. Within the next ten years, a second international pier and ten new aircraft stands will also be built to the west of the existing international pier to cater for the forecast growth in international travel. Beyond 2015, the existing east pier will be replaced by a modern and significantly longer pier. Should passenger numbers grow at a higher rate than forecast, and Glasgow were to develop as a twin parallel runway by 2030, it is possible an additional terminal would be built. Good surface access will be critical to Glasgow Airport’s ability to grow. The outline master plan calls for improvements to the M8 between junctions 26 and 29 to allow current and future traffic volumes to access the motorway in a safe manner. BAA Scotland is committed to increasing the numbers of passengers who access its airports by public transport and looks forward to more choice and a properly integrated surface access system. Proposals by Strathclyde Passenger Transport for a rail link between Glasgow Airport and Glasgow Central Station are well advanced. The rail link could be operational by the end of 2008. Clearly, future growth of the airport will impact on local communities and the environment. The outline master plan sets out a series of strategies for managing environmental impacts. The airport will grow in a sustainable and responsible manner. Any development will take place incrementally to ensure, as far as possible, that additional capacity closely matches passenger demand. A 2002 study by the Fraser of Allander Institute found that Glasgow Airport contributes more than £700 million a year to the economy and supports 15,700 jobs across Scotland, with more than 5,000 people directly employed at the airport. As the airport expands, the number of people directly employed at Glasgow Airport is forecast to rise to 8,200 in 2015 and to 12,000 by 2030, an increase of some 7,000 jobs. If the number of indirect employment opportunities increases in line with recent trends, a further 21,000 jobs could be created. The outline master plan also suggests Glasgow Airport will become an increasingly important freight hub. With international air services expected to grow significantly, Glasgow’s cargo business is forecast to grow from 8,700 tonnes today to 13,000 tonnes by 2015 and almost 20,000 tonnes by 2030. Following today’s launch, a three month consultation period will get underway, during which Glasgow Airport will invite local residents, politicians and business leaders to have their say on the future development of the airport. A series of public meetings will also be held across the region. Following the consultation a final version of the master plan will be published at the end of 2005. 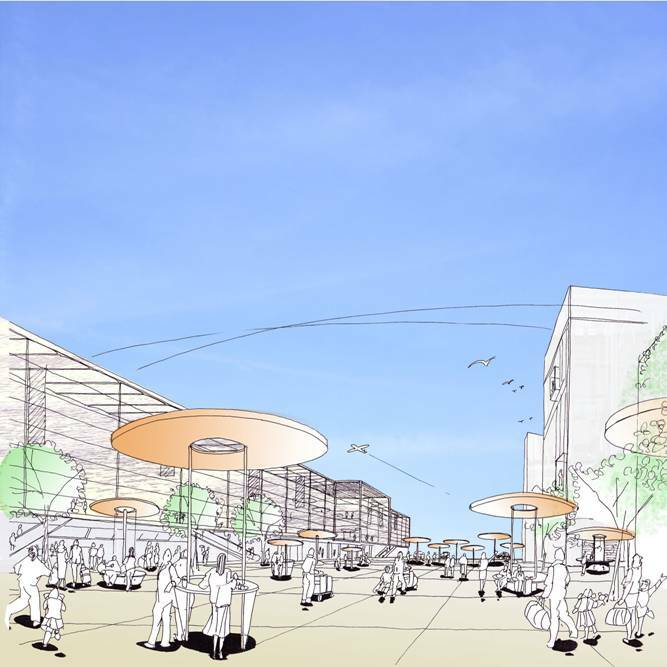 Copies of the Master Plan can be downloaded from Glasgow Airport’s web site or by writing to Airport Master Plan Consultation, BAA Glasgow, St. Andrew’s Drive, Glasgow Airport, Paisley, PA3 2SW. The consultation closes on 28 October 2005. In December 2003 the UK Government published a White Paper, The Future of Air Transport, which set out a framework for the development of airport capacity up to 2030. The White Paper requires specified airports to produce master plans setting out detailed proposals for future development up to 2015, and indicative plans for the period between 2016 – 2030. The final Master Plan will be published at the end of 2005 and will be reviewed every five years. Opened in 1966, Glasgow Airport is Scotland’s busiest international airport with over 8.6 million passengers flying to more than 100 destinations worldwide. Glasgow is Scotland’s long haul gateway, with flights to the United States, Canada, Dubai, North Africa and the Caribbean. The airport supports more than 15,700 jobs and contributes over £700 million to the Scottish economy. BAA Glasgow will invest £250 million at Glasgow Airport over the next ten years to facilitate growth. The airport is is 5 minutes from Paisley, accessed via Junction 28 of the M8. Glasgow Airport is approx. 8 miles from Glasgow city centre. Scotland’s fastest growing airport is to get a £2-3m facelift after it was described by its owners as ‘shambolic’.